cruise just under the surface. They can be spooky and leader-shy. 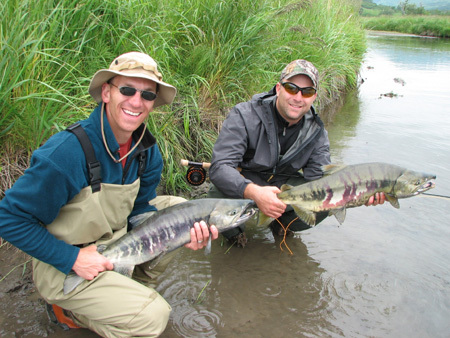 Chum salmon range from 6 to 15 pounds. They are available throughout the lodge season; July, August, and September. The best chum fishing usually occurs in July and early August.